Guest post by Christian Arno, founder of professional translation services provider Lingo24. Launched in 2001, Lingo24 has clients in over sixty countries, and translated over forty million words in the last year. Even though Facebook, Twitter, LinkedIn, and Google are American companies, social media doesn’t begin and end at the shores of the USA. If your company operates multi-nationally, creating and perpetuating a social media presence globally will eventually become a consideration – if it’s not already. The challenge is that your social media efforts need to be localized for each target market, in the same way your websites need to be. It’s tricky, but not as difficult as it may seem. Here are the five steps you need to follow to go international with your social media marketing. Qzone – the biggest network in China, popular with teens and casual users. Renren – China’s network for university students. Kaixin001 – the third major Chinese network, mainly used by office workers. Orkut – the major player in Brazil, also very popular in India. Owned by Google. Mixi – the biggest social network in Japan. VKontakte – a LinkedIn-style networking site for professionals, which dominates all others in Russia. Friendster – still retains some followers post-Facebook in South East Asia. Based in Malaysia. People tend to use social media for different purposes in different countries, so it’s useful to have an understanding of what people from different cultures will best respond to before launching. 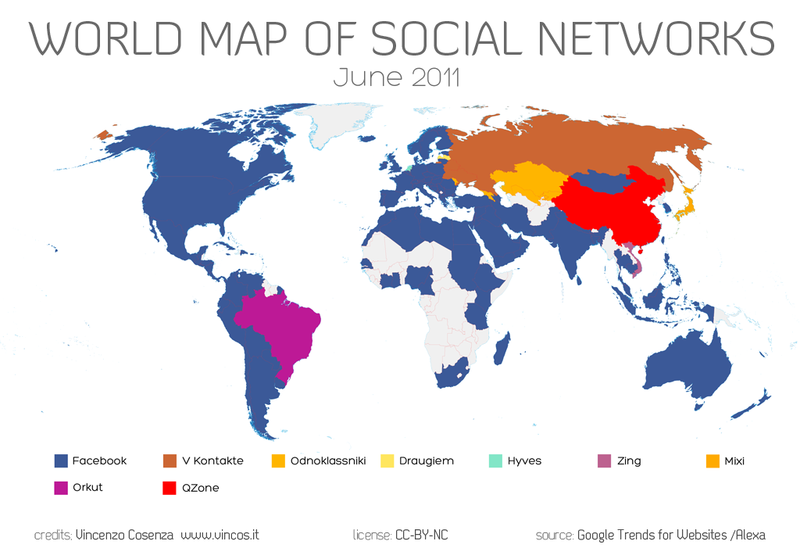 Asia – sharing and downloading music and videos is the most popular pastime on social networks across much of Asia. South America – the countries with the highest percentage of Twitter users are in South America. They’re also avid bloggers, and frequently access the Web on mobile devices. India – social networks based around online gaming and music sharing are popular. Western Europe – most similar to North America, in that content which is either useful (e.g. potential to win a competition) or entertaining does best. Depending on your budget, you have two options when it comes to your social media content strategy – you can either do it yourself, or hire in-country social media managers. Doing it yourself has the benefit of being theoretically more affordable: you can get your content translated by a professional service and use free tools like Google Translate to get the gist of comments from followers, etc. However, it has the downside of limiting your responsiveness, and also has a distinct chance of ineffective localization (more on that next). Hiring in-country copywriters to manage your social media channels is undeniably the best option, if you can afford it – it means your profiles will be effectively localized. You probably will be able to respond more quickly, as well. Is this content relevant to the target audience? If it’s about a product launch that’s solely in the USA, will your potential buyers in India be interested in this? How can you adjust the content to make it relevant to them? Does it contain culture-specific references? If an article was written for a French audience, and contains references to minor French celebrities, how can you adjust it so it’s relevant to, say, Brazilians? Have you taken into account different currencies, measurement systems and local spellings (e.g. the difference between US and UK spelling)? What about other cultural factors? For example, in China there is a list of keywords which will result in your content being banned by the government – have you checked your content to ensure it’s not potentially offensive and won’t be censored? Have you taken into account current events? A social media campaign calling for buyers to ‘take advantage of falling prices’ could be construed as insensitive in a post-Earthquake location, for instance. This is the most important part of any social media plan, and it’s where in-country social media managers can potentially make the biggest difference. Just as in the USA, sending uni-directional, offer-laden messages day after day will curtail your results. But if you can engage followers, you have a better chance of successfully turning your brand into a living, breathing entity. And that’s a social media success, no matter what country you’re in.